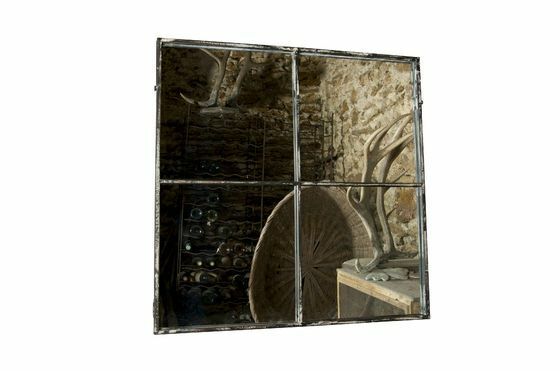 The 4-section square mirror is a decorative accessory that will give a touch of vintage design to your walls and more light to your rooms. The structure of the painting is based on the windows of the old workshops. 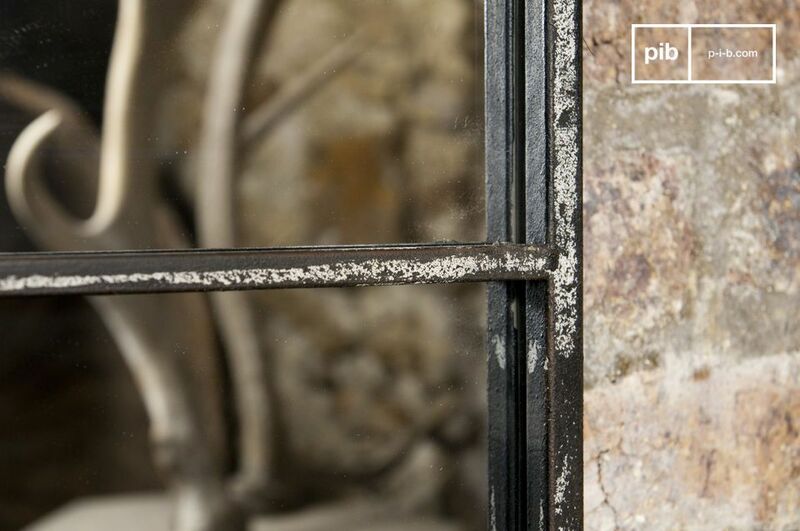 This frame is reinforced by a slightly white patina applied to a textured metal finishing. The mirror is divided by two crossed rods into four separate squares of the same size. 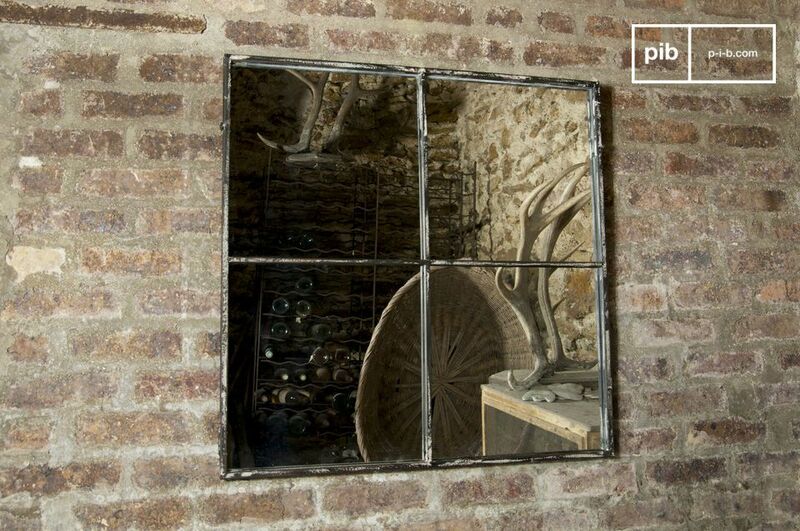 The 4-section square mirror will give a touch of vintage design to your interior and will integrate perfectly into the industrial decoration of your environments. It will be ideal in your living room above a console or in the lobby, where it will reflect generously the light, allowing you to make the final checks to your look before you leave. Easily wall-mountable with two fixing points. Meets my expectations although the aging is a bit rough. Beautiful product which corresponds ,in every point, to the description.